We’re pleased to introduce BinaryTV! Visit this all-new channel of information – designed especially for our traders – for a range of insights and current events from financial markets across the world. 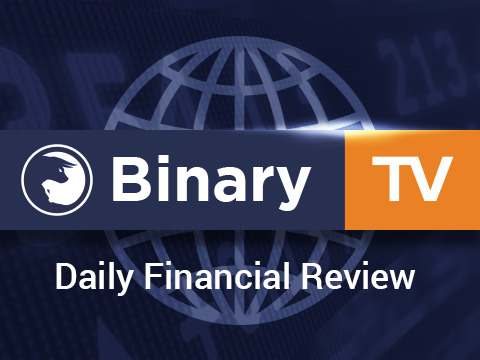 Binary TV premiered on Wednesday with the first episode of a brand-new series of “Daily Finncial Review” videos. With Binary TV now live, it’s never been easier to keep up with headline stories throughout the global financial sector each day. All of the valuable information packed into our Daily Financial Review is now conveniently at your fingertips in video format. Subscribe to our dedicated YouTube channel, to make sure you never miss an episode. We’d love to hear your thoughts about this brand-new video series! Send us an email at Marketing@binary.com, or drop us a line on Facebook, Google+ or Twitter. We’re always grateful to hear from you! Stay tuned for a lot more valuable new resources coming your way from Binary.com. Thanks for watching! Enjoy the new series!